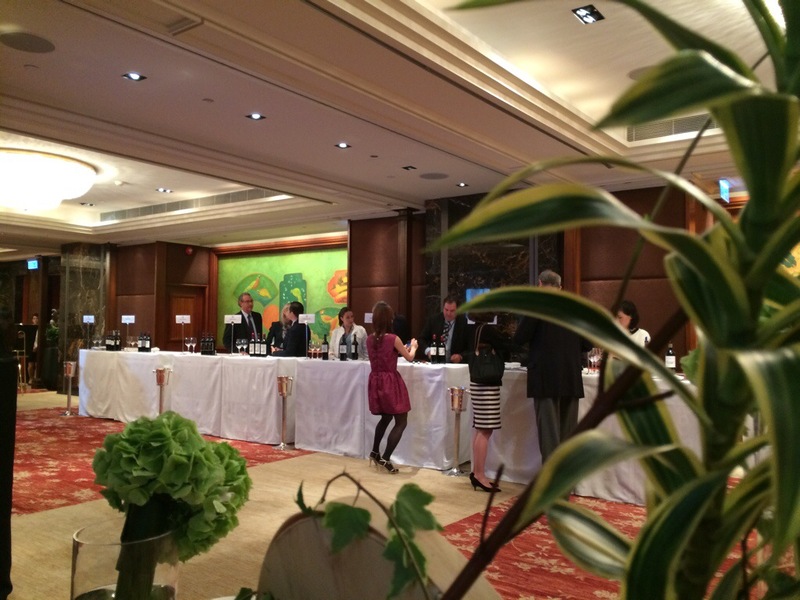 Vinexpo is hitting Hong Kong (27-29 May2014) and what most wine lovers do before that? 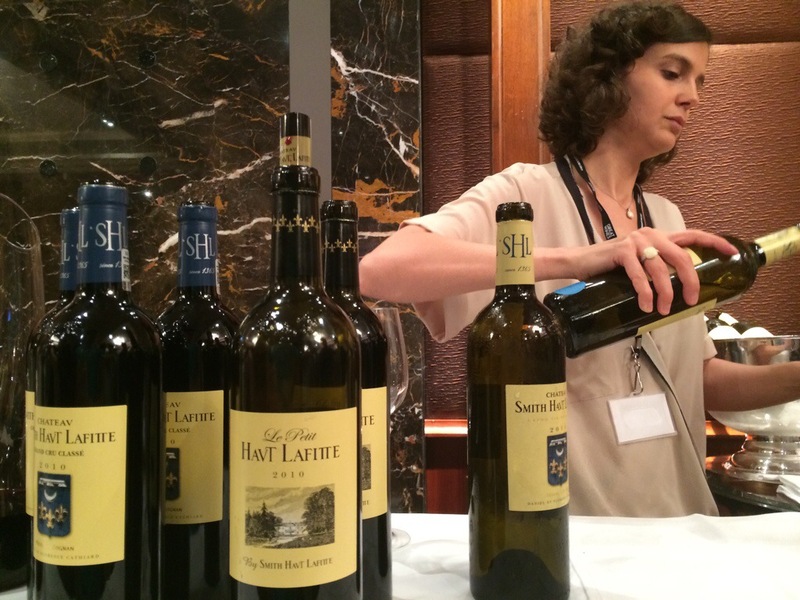 I guess for most, detoxing can’t be an options this year but going to some of the pre-vinexpo excitements, one of them are something quite fun and collective (only if you can get hold of the invitations) – the Bordeaux Confidential tasting (of over 20+ chateau) by James Suckling x Tatler. 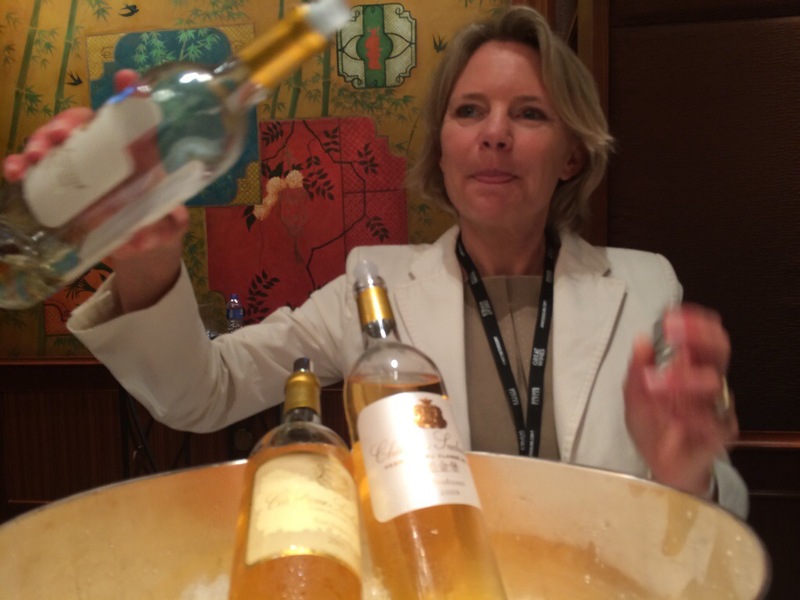 Vinexpo starts few days earlier with the lovely Geraldine Leger from Chateau Canon, a catch up on their 2013 production. I was not long ago at Chateau Canon for the harvest of 2013 last Oct (their merlot grapes tasted great!) with their careful picking, and the good result from en primeur, I can’t wait to taste the 2013 soon again. Tall and slender, almost like an artist than a business person (which I was having lots of fun with his cellar master in from to his 2 huge Keith Haring) Owner of Chateau Ducru Beaucaillou Bruno Borie on Fire not only at his Chateau but here today in HK. (Beaucaillou means “beautiful pebbles”). His wine, to me, a wine of the heart, is among the most elegant in the Médoc. Here, he is pouring his smokey firm and musculin 2006, choco truffle like juicy and elegant 2008 and forward blackberries alike 2011.
the very great value desert wine : Château Suduiraut‎. 2005 is generous and rich with honeysuckle, pineapple, pear and layers of flavors you can explore in mouth as long as you would love to. Very delicious.